Popcorn is enjoyed around the world, in almost every country, where normal corn is consumed. The earliest archaeological discoveries of popcorn were in Peru, however, Central America and New Mexico also showed remnants of popcorn creation about 5,000 years ago. It contains ferulic acid, a type of antioxidant that may help fight diseases like cardiovascular disease, Alzheimer’s disease (a neurodegenerative disease that worsens over time), or type 2 diabetes. Popcorn is also naturally low in calories and fat. For instance, three cups of air-popped popcorn have 1g of fat and around 110 calories. Popcorn contains polyphenols (a large group of phytochemicals found in plant-based food) which may prevent damage to cells. Polyphenols also help neutralize free radicals, molecules with unpaired electrons which contribute to rapid aging by damaging your cells. It is high in dietary fiber. An adequate fiber intake reduces LDL cholesterol, lowers your risk of cardiovascular disease, and lowers your risk of diabetes mellitus by regulating blood glucose levels as well as fiber helps you to stay regular. Popcorn is a whole grain, and whole grains have been strongly associated with lower rates of heath disease and type 2 diabetes mellitus. Note – popcorn can be a great snack for teens and adults, however, many of the commercial microwave popcorns and pre-packaged popcorn can contain added harmful ingredients which we want to avoid in our diet. It usually has butter, a dairy product which is produced mainly from milk fat. For example, 1 tsp of unsalted butter has 7.2 grams of saturated fat and 31 milligrams of cholesterol. Saturated fat has been associated with an increase in low-density lipoprotein, which can increase the risk of stroke and heart disease. To make matters worse, movie theater butter actually has no butter in it, however, it does have buttery flavoring and polydimethylsiloxane (a silicone-based chemical which prevents foaming). Tertiary butylhydroquinone is a chemical preservative that is used in microwave popcorn and numerous other snack foods. 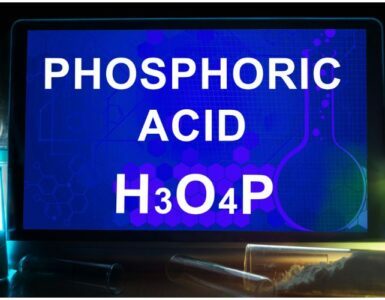 This chemical belongs to a group of polymeric organosilicon compounds which are usually referred to as silicones. TBHQ keeps the texture and color from changing as the product sits. propyl gallate – it is used as a preservative in foods which contain fats and oils, to stop food from spoiling. This food preservative can cause allergic reactions in the form of an asthma attack in some individuals. It is a food additive that increases the risk of lung cancer by 18 percent in people receiving supplementation with it, according to a Finnish study which was issued in the New England Journal of Medicine. One of the main reasons for hydrogenating oil is to prolong its shelf life. According to some health care professionals, hydrogenated soybean oil is a dangerous food ingredient second only to HFCS (high fructose corn syrup). It is thought that it blocks the production of chemicals that combat inflammation in the body. Partially hydrogenated soybean oil can also affect heart health because it lowers “good” (high-density lipoprotein, or HDL) cholesterol, while it increases “bad” (low-density lipoprotein, or LDL) cholesterol. It is an antioxidant preservative which is used in a wide variety of beauty care products and cosmetics, including bath products, lipsticks, moisturizers, skin cleansing products, makeup products, skin care products, sunscreen products, and self-tanning products. Propyl gallate is used in meat products, vegetable oil, potato sticks, chewing gum, chicken soup base, and is commonly used with butylated hydroxyanisole and butylated hydroxytoluene. No adverse health effects are mentioned by the US Food and Drug Administration, but, according to a 2014 study done at the Tabriz University of Medical Sciences, Iran, the chemical may be toxic to cells. Diacetyl is a chemical that is used to flavor food and other products. This chemical is harmless when consumed, however, when heated to high temperatures, it becomes toxic. In addition, diacetyl exposure can cause severe and potentially lethal lung disease. For instance, in 2000, several people who had worked at a plant that produced microwave popcorn developed a disease which results in obstruction of the smallest airways of the lungs due to inflammation, called bronchiolitis obliterans. The bag most microwave popcorn comes in is lined with PFOA (perfluorooctanoic acid), an industrial surfactant also used in the process of making Teflon and other similar chemicals. Moreover, this chemical is used in fast food containers and has been found in the blood of 95% of people in the United States. According to clinical studies, a regular exposure to perfluorooctanoic acid has been associated with pancreatic, testicular, and liver cancers. This is important since according to statistics over 43,000 American adults are diagnosed with primary liver cancer. If you are a big fan of popcorn, it is better to use the traditional methods to make your snack. 3 tsp of coconut oil. Note – an added bonus is that coconut oil is good for you and one of the safest oil to cook with. In a saucepan which is large enough to contain all your kernels in a single layer, heat the oil in a pan on medium to high heat and add a few organic popcorn kernels. Once they are popped, add the rest of the popcorn kernels so they are all flat on the bottom of the pan ready to be popped. Cover the saucepan with the lid. When the popcorn kernels begin to pop, angle the lid a bit so the steam can escape. Then, wait until you hear the kernels get going and they are popping frequently. Now, take off the heat for about half a minute and then return to the heat. Once the popping starts in earnest, slowly shake the pan by moving it back and forth over the burner. Once all the popcorn kernels are popped, place them in a bowl and drizzle the salt over them.